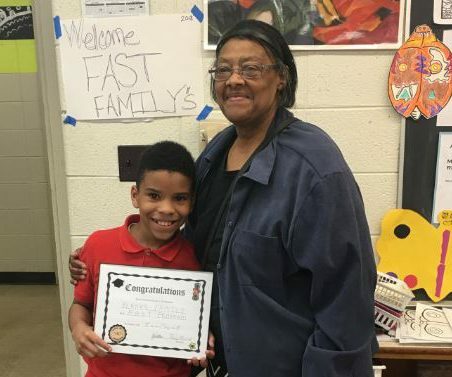 Ms. Blanks Grandparent and Grandson graduated from Auer FAST Program. 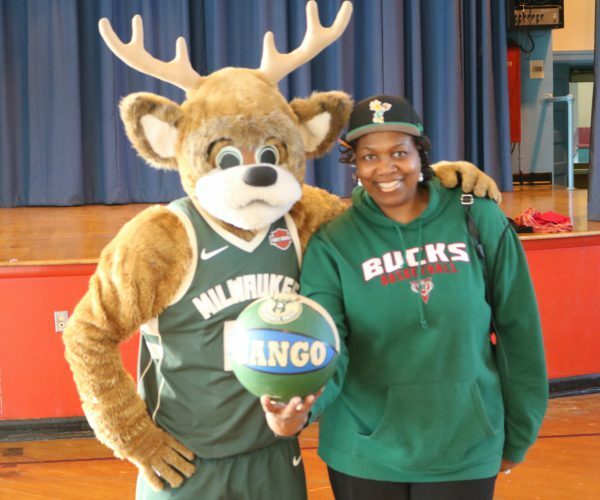 Dr. Walker Auer Ave Principal with Bango from the Bucks. A generous donation given to Auer Ave from one of our Community partners. Auer Avenue School was built in 1903 and is currently the 22nd oldest school in Milwaukee Public Schools. Its original name was Twentieth District School No. 4. For a period of time around 1894, the school hosted a branch of the Milwaukee Public Library within its walls. The name was changed to Auer Avenue School in 1912 to identify it by its street address. Auer Avenue, and in turn, Auer Avenue School, was named after Louis Auer, a member of the Milwaukee Board of School Directors from 1868 to 1880. Auer was a local real estate and insurance agent who was active in local government as alderman, county supervisor and school board member. The school annex that is currently home to middle school students and support staff was added in 1967. Auer Avenue School is located in the Amani Neighborhood and has been proudly educating families for more than 105 years. Auer Avenue Community School works to engage and align resources centered on the needs of the community. We focus on educating the whole child with the understanding that a child belongs to the family while living and interacting within the larger community. Auer’s mission is to build leaders, thinkers and creative minds for tomorrow. Auer Avenue offers a standards-based curriculum emphasizing higher-level thinking and research-based methods. Teachers provide instruction in all core academic areas and strive to meet the social and emotional needs of every child. 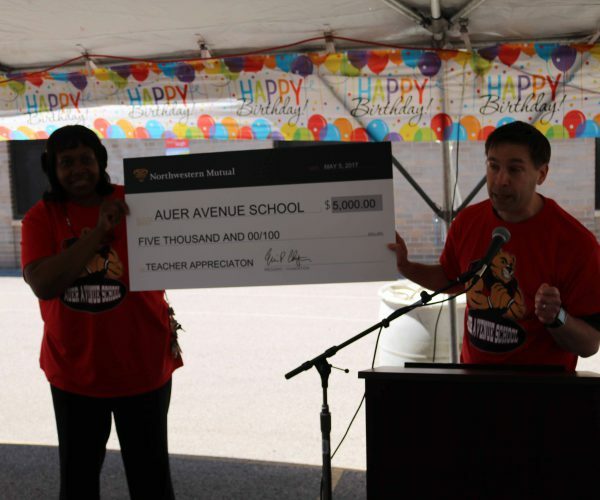 Currently, Auer Avenue School has 55 staff members who educate 287 students. Our goal is to be an instrumental part of preparing students to be college ready and become productive citizens. Our motto inspires our work to be the Best School in the City!